We use data everywhere. From our own personal information to school or work-related documents and files, we have different uses for these data and require 24/7 access to them when the need arises. In our modern world, most of these data are stored in digital mediums like computers or smart gadgets for easy access and convenient storage. They can be stored directly on PC hard drives or on external data storage devices like flash drives or external hard drives. However, you can’t always count on your device to work 100% of the time because of a variety of issues. Hence, there is always the risk of data loss that is a disaster waiting to happen. Moreover, most computer users (especially entrepreneurs) don’t make it a habit to regularly duplicate their files for safe keeping. Their data goes unprotected and they have no one else to blame when they do lose it whether by accident, natural disasters, or cyber attacks, etc. Data is, without doubt, one of the greatest assets to any business enterprise, especially with GDPR coming into force in the next year. A commitment to backing up your data is therefore a crucial component of ensuring continued business success. You wouldn’t leave your valuable tangible assets lying around unprotected, but it seems that out of sight is out of mind as many users neglect to protect the intangible asset of data thus placing themselves at the risk of dire consequences. Research by StollzNow, revealed that a staggering 49% of businesses have reported data loss in the last two years. With almost half of all businesses surveyed experiencing data loss, it’s clear that this is an extremely widespread and serious issue with potentially diabolical consequences. And since we now know how valuable data is, let’s talk about data recovery. It simply is the process of recovering lost data from any storage device. It consists of steps or advanced methods in securing lost data regardless of how it was lost. In data recovery, experts always suggest taking protective measures like securing backup data to avoid having to deal with the pains of data loss. Data recovery can either be done using data recovery software or with the help of a professional trained to do the job where the latter is often the last resort in case the software fails to recover any of the data that were lost. Imagine if your data was “taken” but instead of panicking, you instantly became Liam Neeson from the movie “Taken”. The coolest, toughest character ever imagined, who dealt with his own ransom situation – without paying. WannaCry, a ransomware campaign with unprecedented scale, hit around 200,000 systems across 150 countries. Australia was no exception, with reports of several businesses impacted by the attack and more local computer systems expecting to be hit. “Ransomware” is increasingly becoming the number one cause of data loss for businesses. Software security has become more resilient to cyber attacks, but what happens (and it does happen a lot) when the security systems fail and are bypassed by a simple phishing attack, or a patch not applied? Many organizations, both big and small, came to a standstill as the ransomware Wannacry hit them hard recently. They can no longer access all their important files after the device has been encrypted and they have no way of getting it back unless they pay the ransom in bitcoins. However, paying the ransom is not always an assurance they can get their data back. In the face of these modern threats, data recovery becomes even more important especially that you lose access to all your files stored in that device during these attacks. Those skills, are data recovery skills. The only way businesses can ignore any ransomware is to immediately recover from data backup, and the emphasis is on immediately. Cyber attacks are becoming increasingly more sophisticated and while an attack cannot always be avoided, there are steps you can put in place to mitigate the effects of attacks. You can have processes in place to minimise customer impact and the organisation’s own brand and reputation. For example, achievable Recovery Time Objectives (RTO). RTO refers to the time it takes a business to restore data once a disaster has struck, including bringing your systems back to normal. It may seem straightforward on the surface but to be able to perform quick data recovery, you need to have a powerful data protection solution and an understood and agreed on service level in place. Good data management is a must if you want to spare yourself from all the headaches of data loss. Even if the reason is a malicious third-party cyber crime, the damage won’t be as severe with a backup in place. Data recoverability is just as crucial as data security considering data is at the heart of every business or organization today. You need not worry about the threats of ransomware with a good data management practice in place. 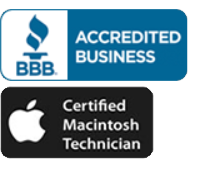 If you lost your data and the data recovery software you used did not work for you, that’s when you reach out to a professional data recovery expert. However, data recovery can be quite costly. 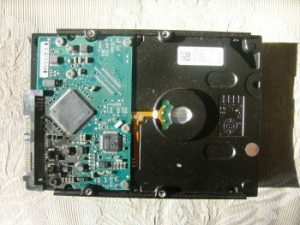 If you hate paying for services you can possibly avoid dealing with, familiarize yourself with the signs of an impending hard drive failure https://www.harddrivefailurerecovery.net/hard-drive-failure-solutions/ and what you can do before it eventually fails. Many times computer users don’t realize the value of their data until their hard drive fails and they can no longer access their data. Whatever your gadget is, https://www.harddrivefailurerecovery.net/hard-drive-data-recovery-for-mac-laptops-and-pc-drives/ can enlighten you about what data recovery is all about. You likely have data issues if you have been searching about data recovery on the web. Please feel free to give us a call and we’ll help you figure out what to do to get your precious data back.